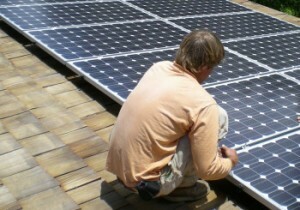 Leasing a home PV solar system is something that is a relatively new concept, but has been around for about 4 years now. The idea of a leasing solar came about due to the high cost of solar systems in the United States, with the goal of solar companies making the entry point much easier for a homeowner wants to buy a solar system. There are many advantages of leasing a solar system compared to buying a solar system, and I will discuss them within this article. If you are interested in buying a solar system, the solar lease might be the option for you due to the much lower up front cost. Since you would not be the owner of the actual system, you don’t need to buy the whole thing. That equals less up front money, its that simple. If you want to have solar electricity but can only claim a bank account of a few thousand dollars, the lease just might be your answer. When you are leasing the system, most companies who offer a solar lease will maintain the system on their dime. This is great because it keeps them vested in having the system in good health. If you are dealing with a company who does not cover up keep costs, negotiate that into the lease, THEY SHOULD. Before you sign any solar lease, you want to know exactly how much you will be paying each month, and exactly how much electricity you will be getting in return. You can put this into the lease contract too. If the performance of the system does not match what is gauranteed, you don’t need to move forward with your payments. If the solar company is not willing to do this, you should look for a different solar company to buy the solar panels from. One thing to consider when you are getting ready to get involved in a solar lease, each person’s home is different. Each home’s energy use is different too. Make sure to read through the entire lease agreement prior to purchasing/closing a solar lease. What might have worked for your neighbor may be different for you. And vice versa. One company that is beginning to become a national player in PV solar is called SolarCity (Solar City). They specialize in PV solar leasing and have been doing it for quite sometime. But there are also several other solar companies that do solar leasing too. One common question that many people have when buying a solar system is how temperature effects PV solar panels. I used to think that when the weather was really hot, it was great for the solar panels, and should mean more electricity is being produced. But that is not so much the case. 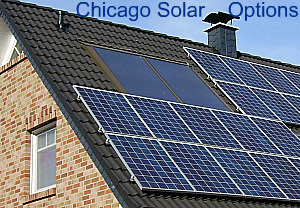 For each solar panel there is a specific temperature which is ideal for making electricity. And it turns out that solar panels will be “more efficient” when the outside temperature is colder than 100 degrees, and closer to 50 degrees or even less. The next logical question that most people should have is, How much does temperature effect efficiency? The answer is NOT VERY MUCH. Infact, the effect that temperature has on the production of PV solar panels is so small that it is rarely talked about and pretty much forgotten as something to be concerned with.For the average homeowner who is buying a solar system, temperature will not be on the list of things to review. For a large corporation that is deciding between which warehouse to place their multi million dollar PV system, they may consider the roof temperatures of various locations they are considering. The major factors to consider with regards to having maximum output of your solar panels is shading, angle towards the sun, and making sure the solar panels strings are sized properly with the inverter you are using. If you really want to optimize the output and efficiency of your solar system, take some time and ask your solar professional some questions about panel temperature, and what types of ideas he/she has to minimize the negative affects that temp can have. One common practice it to have an airspace between the underside of the panels and the roof, this allows for venitllation of air and tends to keep things cooler during hot summer days. Good Luck with your solar panels!